By Clement Marumoagae LLB (Wits) LLM (NWU) Certificate in Advanced Broadcasting Law (Wits) is a candidate attorney at the Wits Law Clinic. This article first appeared in the July 2011 edition of De Rebus, the SA attorneys’ journal published by the Law Society of South Africa. Can the media report on divorce cases? 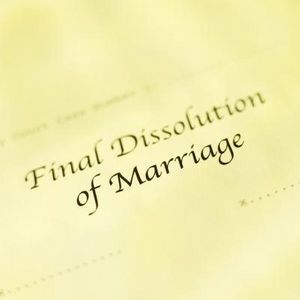 A recent article in the Rapport newspaper under the heading “Steekse Steve laat sy egskeiding sloer” certainly may have raised some legal eyebrows, especially having regard to the fact that the South African Divorce Act strictly prohibits the media from publishing the names of the parties involved in divorce proceedings. Divorce can have severe and traumatic effects on children and private details made available through the media may exacerbate this. One of the most important questions in a free, open and democratic society that is based on human dignity, equality and freedom, is how one should balance the right of freedom of expression, against the right to privacy and dignity of an individual on the other hand. In the case of Johncom Media Investments v Mandel and Others the Constitutional Court balanced this important right against the rights of dignity and privacy. The court found that the objective of section 12 of the Divorce Act was “to protect the privacy and dignity of people involved in divorce proceedings, in particular children”. By doing so the Court decided to invalidate section 12 of the Divorce Act, but also to prohibit the publication of the names of any of the parties to a divorce or the children. What this in actual fact means is that the media is free to report on the details of a divorce matter but that they may not publish the names of any of the parties involved in a divorce when doing so. The judgment was referred to as a ‘lukewarm triumph for press freedom’, by retired academic Marinus Wiechers in a Beeld newspaper report as saying that the judges’ qualification of the order declaring Section 12 of the Divorce Act unconstitutional may leave the media in a worse position as no names may be published. In the judgment, the Constitutional Court gave to the media with one hand and took away with the other. While the court has basically struck down a provision of the Divorce Act which prevented the media from publishing any particulars of a divorce action, or any information that emerges in the course of such an action, it also ordered that no party or child involved in divorce proceedings may be identified. Even attorneys are bound by confidentiality and may not divulge information to the press. Unless there are exceptional circumstances and the media successfully applies for an order to publish the names and identities of those involved, any story on divorce proceedings that does so will amount to contempt of court. The judgement of the Constitutional Court resulted in a situation which is actually the reverse of Section 12 meaning that the media can now report all the detail they wish, as a means of informing and educating the public about divorce matters, but unless there are exceptional circumstances, they may not name or identify the people involved. Where there is a clear public interest in a particular case, the media must apply for an order enabling them to name the parties involved in the divorce matter. Such cases may include, for example, public figures. The key would be to ensure that there is a clear and genuine public interest in naming and or identifying the people involved. The ruling highlight the importance of media freedom as well as children’s rights and it also has the effect of requiring stronger legal and ethical adherence to reporting not only on children but also, more broadly, on areas that are normally private and personal by nature. 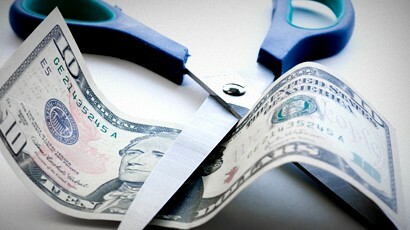 The Divorce Act imposes a criminal sanction in that a person who in contravention of this section publishes any particulars or information shall be guilty of an offense and liable on conviction to a fine not exceeding one thousand rand or to imprisonment for a period not exceeding one year or to both such fine and such imprisonment. The Constitutional Court has clearly stated that as important as freedom of expression is, it does not enjoy any preferential status over any other rights. 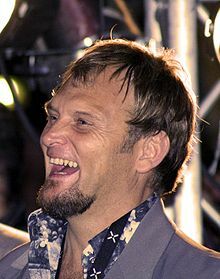 The question is whether Rapport was entitled to name Steve Hofmeyr…….You be the judge. Bertus Preller is a Family Law and Divorce Attorney based in Cape Town and has more than 20 years experience in most sectors of the law and 13 years as a practicing attorney. He specializes in Family law and Divorce Law at Abrahams and Gross Attorneys Inc. and deals with Family and Divorce matters across the country. He is also the Family Law expert on Health24.com and on the expert panel of Law24.com and is frequently quoted on Family Law issues in newspapers such as the Sunday Times and Business Times. His clients include celebrities, actors and actresses, sportsmen and sportswomen, television presenters and various high net worth individuals.